Advanced atherosclerotic plaque can lead to complications such as vessel lumen stenosis, thrombosis, and embolization, which are the leading causes of death and major disability among adults in the United States. To reduce the healthcare costs, improved methods of diagnosis, treatment, and prevention of these kinds of diseases are very important . Histological investigations have tied clinical complications to the existence of vulnerable plaques and have shown that certain plaques posed increased danger of causing clinical events. These vulnerable lesions are characterized by a large lipid core that is separated from the vessel lumen by a thin or weakened fibrous cap. Cap rupture is believed to lead to rapid plaque progression and/or patient symptoms [2,3]. In recent years, many research work has been conducted in this area to find approaches that can effectively diagnosis and/or prevent the development of vulnerable atherosclerotic plaque. In diagnostic imaging, efforts have been made in at least two directions in the study of plaque features that are believed to be related to clinical outcome [4, 5]: the size of plaque and its tissue constituents. The focus of the first direction is more on the morphological features such as degree of vessel lumen narrowing and plaque's area/volume . The second direction is trying to identify the tissue type distribution in plaque which is the only way to distinguish vulnerable plaques from stable plaques of similar size. 1. 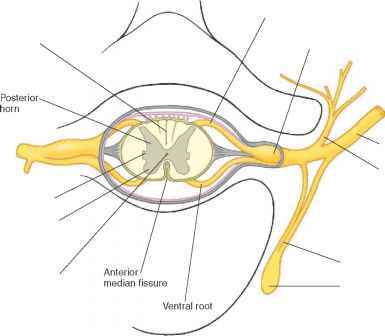 Small size of artery wall: The carotid artery is usually less than 1 cm in diameter. Even if high-resolution imaging methods are used, practical limitations of MR scanners require the field-of-view of the image to be at least 13 by 13 cm, with a resolution of at most 512 by 512 pixels. Within these image dimensions, the subject, carotid artery, is normally about 40 by 40 to 100 by 100 pixels ranges. The comparatively small number of pixels makes the processing and analysis very challenging. 2. Complexity of tissue constituents: In our study, over 10 types of plaque tissues are identifiable within carotid artery wall, including lipid, hemorrhage, calcification, and fibrous tissue among the most clinically important. The plaque constituents may or may not be present, are generally unpredictable in terms of location, and can be intermixed. 3. Difficulties in tissue separation: Many studies have shown that any individual MR image can only distinguish between a limited numbers of plaque tissues, regardless of contrast weighting . Therefore, a need exists to integrate the information obtained from several different contrast weightings, like T1W, T2W, PDW, and TOF so as to provide a single representation of all plaque constituents. To achieve this, multiple spectrum data segmentation is very critical in this study. 4. Special processing requirement on fibrous cap: The fibrous cap is a thin tissue layer that separates the lumen and other plaque tissues within the blood vessel wall. Therefore, it is the critical feature in predicting the occurrence of rupture and monitoring the stability of patients' diseases. As a result, specialized segmentation techniques aimed specifically at characterizing the fibrous cap must be considered. From image processing point of view, segmentation, the process of grouping image pixels into a collection of subregions or partitions that are statistically homogeneous with respect to one or more characteristics, such as intensity, color, texture, etc., has been a very important region analysis technique in medical image applications. The eventual goal of segmentation is to aggregate those neighboring pixels with similar features as a region and separate it from the others or the background in the image. Since the partitioned regions sometimes do not contain any semantic meaning corresponding to the real physical object in image, image segmentation technique often serves as a low-level processing step in image-processing procedures. However, it is very crucial to the success of higherlevel recognition process and plays as a deterministic role to the eventual performance. There are three categories of MR data to be analyzed in this study: single contrast weighting gray level images, image sequences, and multiple contrast weighting images. Different from what are often analyzed in other applications, the images in this study are of lower quality due to the various noises involved in the imaging process. In addition, they are with more complicated structure than subjects are usually analyzed in other medical image studies, such as brain. From the segmentation technique point of view, numerous approaches have been developed in the last decade, which are summarized in literature reviews [1, 9,10]. These methods are implemented from different perspectives and have shown their successes by applying to various images. They can roughly be classified as following categories: region growing and splitting [11-14], edge detecting [15-18], randomfiled modeling [19-22], active contour modeling [23-27], as well as some hybrid of these methods [28-31]. After careful analysis of those existing approaches, however, it is easy to see that most of the algorithms presented in the literature can work well only for certain particular types of image and their performances are good if some image formation processes are taken into account in the segmentation procedure. Because of this intrinsic applicability limitation in the proposed models, it is generally difficult to obtain ideal segmentation results when they are applied into other types of images. In recent years, some studies have been conducted to take advantages of a few algorithms to improve the segmentation performance, such as the wavelet MRF method , the region competition , and the Fuzzy Snake , etc. In this study, we develop our solutions following this problemsolving approach. The research on segmentation techniques at an early stage was more on single frame gray level or monochrome images according to the survey provided by Haralick and Shapiro . One category of these algorithms is region-based segmentation that includes region growing, splitting, and merging techniques. They generally use the intensity smoothness or similarity among neighboring pixels to find the regions. Another category of approaches find regions based on the discontinuities or edges in image. Since the closed contour is usually hard to be obtained in the edge map generated by various edge detectors, such as gradient operators or Canny edge operator , a tedious and more challenging linking procedure has to be employed to find closed region boundary. Active contour model (ACM)-based algorithms are a category of segmentation methods that search the contour of a particular object by minimizing a curve energy function. Bayesian inference based algorithms are another category of segmentation methods. They usually define the segmentation result image (a label matrix) as a sample of 2-dimensional random field and find the optimal solution by performing maximum a posterior probability (MAP) estimation. The label matrix is usually modeled as Markov random fields (MRF) [21, 22] and computed by means of clique potential functions according to its duality with Gibbs random fields (proved by the Hammersley-Clifford theorem ). In recent publications, most of the research works are focused on the accurate model description , optimized energy minimization searching algorithms design , as well as the performance improvement by introducing new models . The study of image sequences segmentation can be regarded as an extended application area of single frame segmentation approaches. In addition to the segmentation results on each frame of the sequence, the correlation between adjacent frames is often considered, and hence, it makes the automatic/ semiautomatic processing possible. Even though some approaches have been proposed before [34-37], the designs of algorithms are usually decided by the detailed correlated features in applications. In our study on the atherosclerotic disease diagnosis, the 2-dimensional cross section images are obtained in a parallel sequence with small distance between each two along human's carotid artery. While the study of gray-level image segmentation is still an active area of research, there is a growing need for solutions to partition multiple channel or multiple spectral images. In our study, multiple contrast weighting images on the same subject are used to identify tissue types. The other typical application areas of multiple channel image segmentation technique include remote sensing images, color images, and multiple modality medical images. Similar to the solutions for monochrome images, there also exist algorithms for multiple channel images segmentation based on edge detecting [38, 39], region growing [40,41], and region splitting and merging . However, they are facing the same problems as in monochrome domain. A new category of methods for multiple channel images is based on the histogram analysis  and clustering [44, 45] in multiple dimension data space. Because of the absence of spatial constraints in an image domain, the performances of such methods are often limited due to the existence of strong noises in images. The Bayesian-based approaches have also been proposed [46, 47]. They are basically extended 2-dimensional models to a multiple dimension data space. However, because of the dramatic increase of computation in the practical implementation they cannot be applied to those time-demanding applications, such as image database retrieval. In recent publications, Comaniciu and Meer  proposed a method that integrates the spatial constraints and feature domain cluster searching results to improve the segmentation results for color images. The material in this chapter is organized as follows. Following this introduction, section 8.1 focuses on the segmentation technique for single contrast weighting (gray level) MR image. It covers Bayes's theorem, MAP estimation, MRF model, and the existing algorithms based on MRF. Finally, the QHCF algorithm is discussed and some experiments are conducted to analyze its performance. Section 8.3 covers the MR image sequence technique and an image segmentation framework, a MRF-based active contour model. It also includes a brief review of the traditional active contour model and its enhanced version, minimal path approach. Section 8.4 is about multiple contrast weighting MR image segmentation solutions. It consists of two parts. The first part describes a multidimensional MRF (mMRF) and its corresponding multidimensional QHCF based solution. The second part is about clustering-based segmentation method. Section 8.5 introduces the specific segmentation methods that we use in fibrous cap analysis.